Ferruccio Laviani has re-designed the classic Bourgie Lamp with a beautiful new metalized finish. 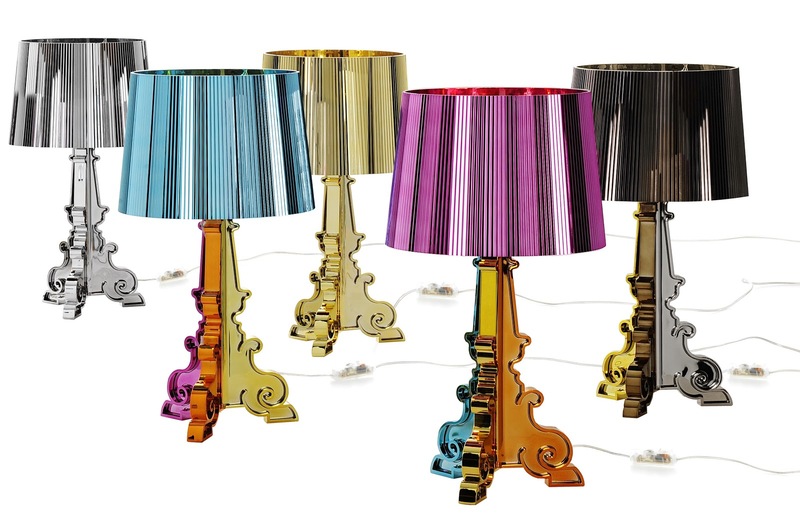 This limited edition multi colored Bourgie Lamp with a metalized light blue lampshade displays beautifully on a coffee- or end table. This bright and colorful new creation is composed of three decorated layers that interconnect. The metalized light blue lampshade is made with a pleated effect that creates a myriad of reflections when turned on. The Kartell Bourgie Lamp also features a unique attachment systems which makes it possible to adjust the height of the lampshade anywhere from 27" to 31". A touch sensitive dimmer allows for dimmed or bright light. 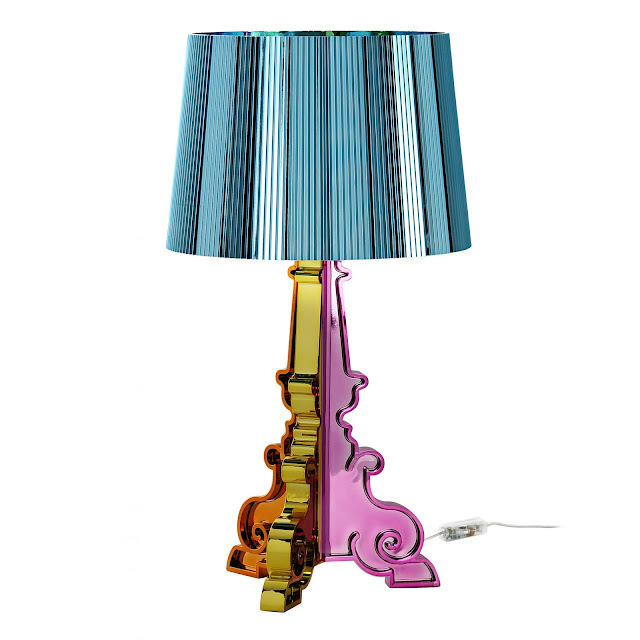 The Kartell Bourgie Lamp is a perfect light for the entryway, living room or when used as a bedside table lamp.